Redick under performed slightly, but the other 3 players got their numbers. Last night may have been the last of getting Siakam as a value pick. He hovers around a double double every game and is good for a couple of steals and blocks on the defensive end. 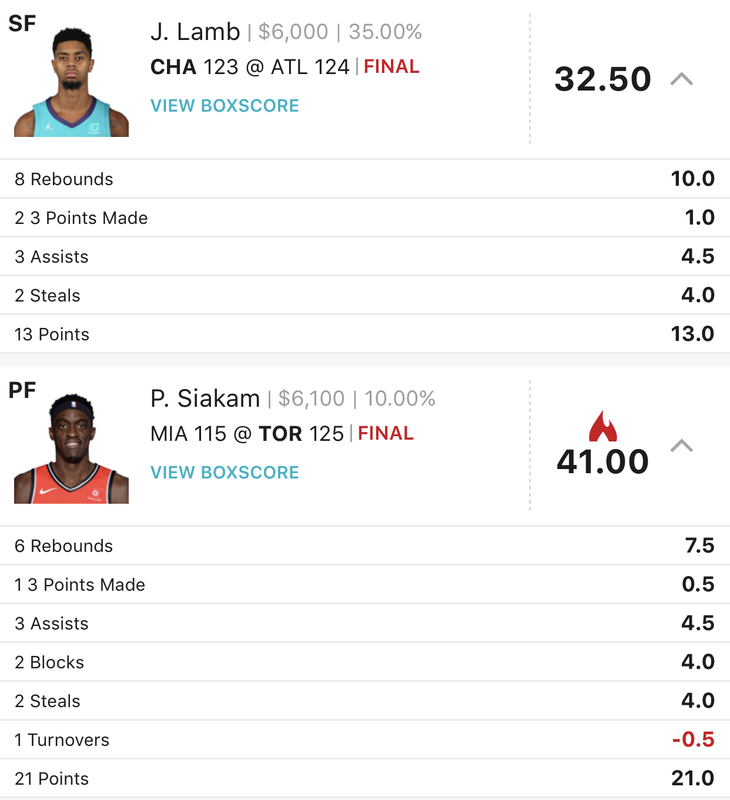 He was $6,100 against the Heat, I don’t think you will see him under $6,700 for the next couple of games. The Cavs went into Philly and beat the Sixers , then they beat the Rockets at home lead by Collin Sexton’s career high 29 points. Rumours started yesterday that the Cavs and Sixers were discussing a trade involving Markelle Fultz. The ESPN trade machine has approved these trades. 4 Players to Build Your Lineup Around. Giannis is in the middle of an MVP calibre season. He leads the Bucks with 27 points, 13 rebounds and 1.5 assists. The Freak is a matchup nightmare for the Hornets tonight. Cody Zeller and Marvin Williams are quality NBA players, but they are going to have their hands full with the All NBA talent that is Giannis. No surprise with the expensive salary, $11,600, but I have a few good value picks that will be easy on the cap. If Oubre gets his minutes, Oubre gets his fantasy points. He has stepped in for the Wiz when Porter was struggling earlier in the season, he played himself into more starts at the 3 or the 4. 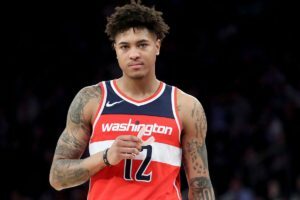 Oubre averages 12 points and 4.5 rebounds, he is also active on defense which leads to a couple of steals and blocks every game. 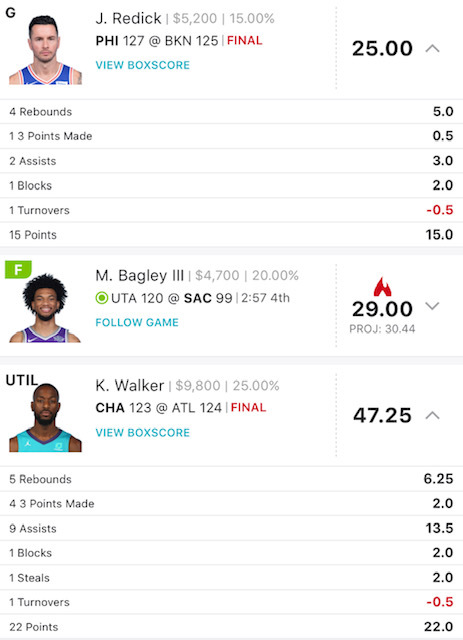 $4,300 is a steal for the way Oubre has been playing lately. Bryn is another value pick, he is only $3,800. Last game he played 30 minutes and scored 18 points. He has been the Spurs PG for the majority of their games this year, he has done a good job filling the massive hole Dejounte Murray left when he went down in the preseason with an ACL tear. Forbes needs to get more assist, he is only averaging 2.2 a game. He needs to work the pick and roll with Aldridge and pick up 3-4 freebie assists with that Harden/Capela lob play. The low salary makes this a pretty low risk, if he gets his minutes, Forbes will get 20-30 points. 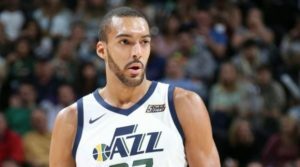 Rudy Gobert is quietly having a great season on the under performing Utah Jazz. They are under performing because of how competitive the West is this year, the Sun are literally the only team that has no shot at making the playoffs. The Jazz are in 14th with a record of 9-11, only 1 game out of 8th place. Not a lot of people watch Jazz games, especially with Dovovan Mitchell struggling with injuries to start the year. Rudy has been putting up some impressive numbers under the radar. 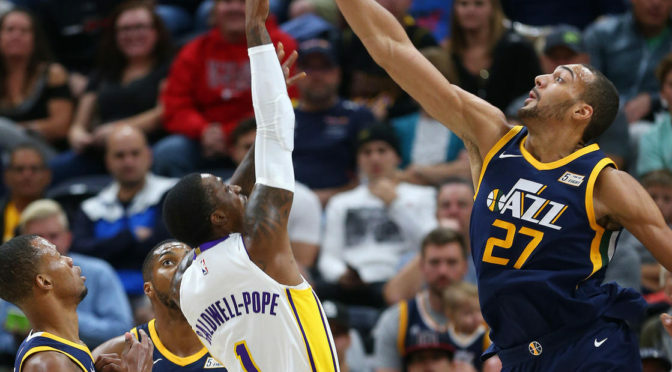 Gobert is averaging 15 points a game and is 6th in the league with 12.7 rebounds a game while adding 2 blocks and 1.5 steals on the defensive end. The Pacers are banged up heading into this game in Utah. Myles Turner and Sabonis are both GTD with ankle injuries. 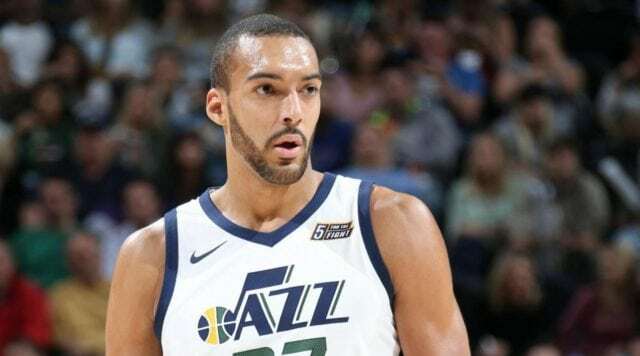 I think Gobert will have a huge night against Indiana and the best part is he is only $7,100, that is on the extreme low end of Rudy’s average salary. Make sure to follow me on Twitter, @DFSBBallGuy. 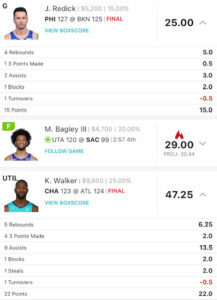 Previous Post5 Value Picks For NBA DFS Monday– Nov. 26, 2018Next PostHow To Use NBA Betting Odds In Daily Fantasy Basketball?